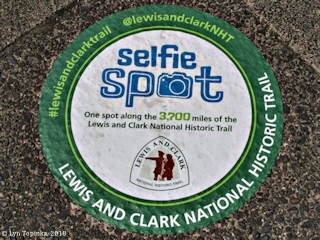 "Lewis and Clark National Historic Trail"
Click image to enlarge "Selfie Spot", Lewis and Clark National Historic Trail at Bonneville Dam, Washington side. Image taken July 11, 2018. 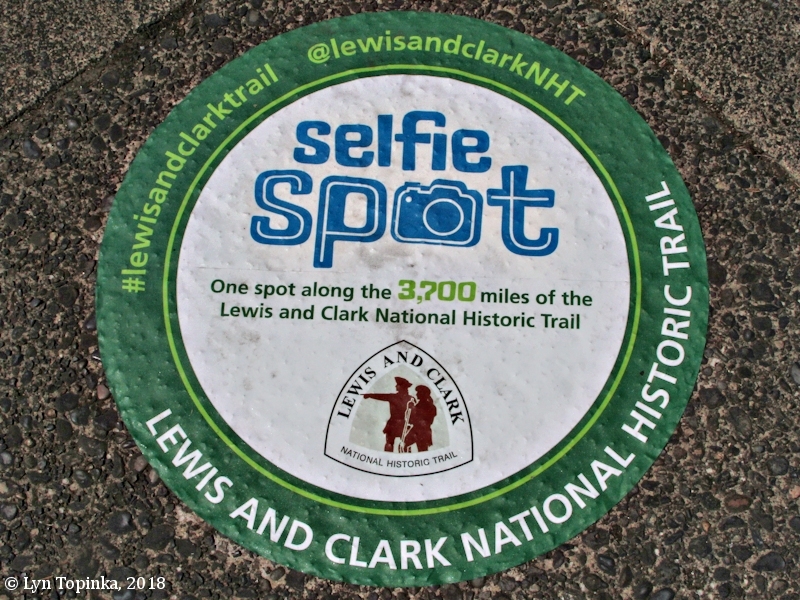 The Lewis and Clark National Historic Trail is approximately 3,700 miles long and extends from Wood River, Illinois, to the mouth of the Columbia River near present day Astoria, Oregon. 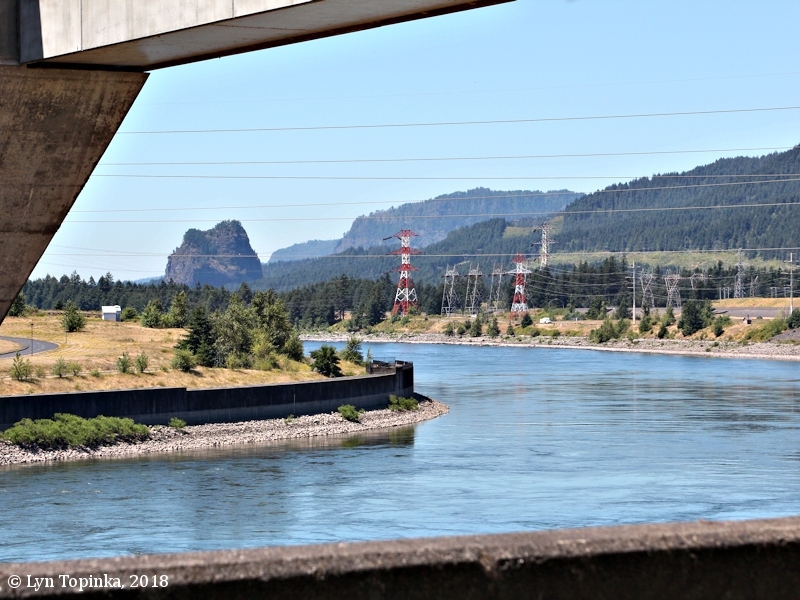 It follows the historic outbound and inbound routes of the Lewis and Clark Expedition. The trail connects eleven states -- Illinois, Missouri, Kanasa, Iowa, Nebraska, South Dakota, North Dakota, Montana, Idaho, Washington, and Oregon -- and many Tribal lands. 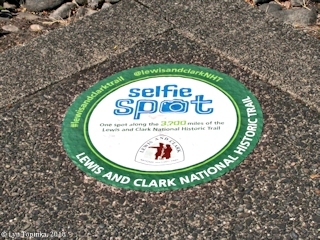 The Lewis and Clark National Historic Trail allows travelers to follow the approximate route of the Corps of Discovery. 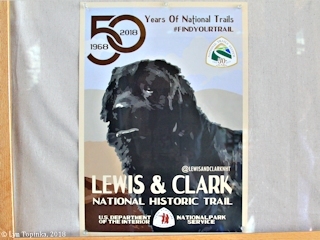 The Lewis and Clark National Historic Trail was established by Congress in 1968 as part of the national trails system. 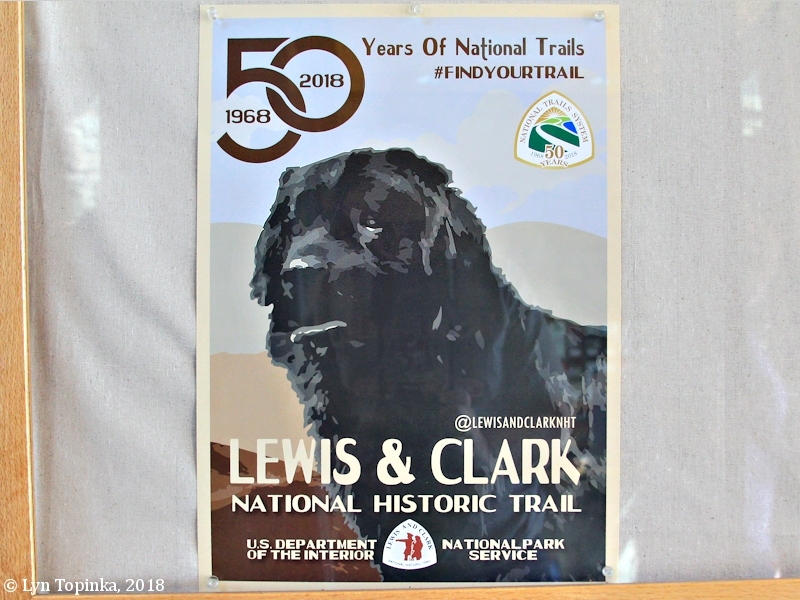 The Lewis and Clark National Historic Trail is one of two national historic trails traversing through both Oregon and Washington, the other being the Oregon National Historic Trail. "Selfie Spots" were created in 2018 to celebrate the National Historic Trail System's 50th anniversary. Stand on the spot and take a picture and share it with Social Media !!! Click image to enlarge View from "Selfie Spot", Lewis and Clark National Historic Trail at Bonneville Dam, Washington side. Image taken July 11, 2018.